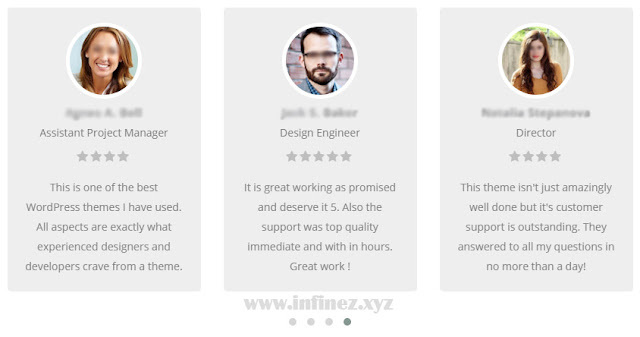 INFINEZ - 6 Tips to Creating Testimonials That Sell Your Products Fast | There are many ways to market a product or a service and providing the potential clients and customers with testimonials is one of the best ways to market. This is probably the most effective type of testimonial. Nothing beats a testimonial from a satisfied customer because it is a picture of what the product/service is all about. 1. Before anything else, only products/ services with outstanding quality deserve testimonials, so one must make sure that his product/service possesses exceptional quality. 2. Ask the help of your customers. One must be able to communicate to his customers his need of getting their testimonials. If they are really satisfied with the product/service, they would be more than willing to participate. 3. Interview your customers. Ask them about what they like about your product/service, why they chose your product and other questions like these. 4. Ask them if they are willing to make a written testimonial. You can offer to make the testimonial yourself based on their responses during the interview but the testimonial is still up for their approval. You might want to make the wordings catchy and let them approve the testimonials. 5. Ask them if you could record the testimonial using a tape recorder or video cam. A video testimonial is better, but of course, many people are camera-shy and this can be a limited option for most. 6. Choose the best testimonials. Use the best ones so as to maximize the benefits that your product can get from the testimonials. 0 Response to "6 Tips to Creating Testimonials That Sell Your Products Fast"